As part of its ongoing collaboration with global drone leader DJI, Epson has announced the world’s first glasses-based augmented reality drone flight simulator app, developed by Y Media Labs exclusively for the Epson Moverio BT-300 smartglasses. The application allows a user to fly a 3D digital drone in the real world using flight controllers from the latest DJI drones, including the Mavic Pro, Phantom 4, Inspire 2 and Spark. The simulator mirrors the natural, real-world movements of the drones, allowing new pilots to learn to fly and experienced pilots to sharpen their skills. The flight simulator experience is viewed through the Epson Moverio BT-300 smartglasses and includes a fly mode and two mini-games for advanced pilots. It will be published on the Moverio Apps Market later this year but can be experienced today at any DJI store or most local drone retailers. “This is arguably the first mainstream consumer application for augmented reality smartglasses,” said Eric Mizufuka, Manager, New Ventures, Epson America. The application was created by Y Media Labs, a leading Silicon Valley-based creative technology agency, under the direction of the DJI and Epson Moverio teams. “We’re excited to partner with Epson and DJI to set the standard for high-value consumer experiences in the AR space by harnessing the power of cutting-edge technology and world-class design,” said Ashish Toshniwal, CEO of Y Labs. The flight simulator is the first application in a series of aerial AR applications being developed by Y Media in partnership with DJI and Epson. 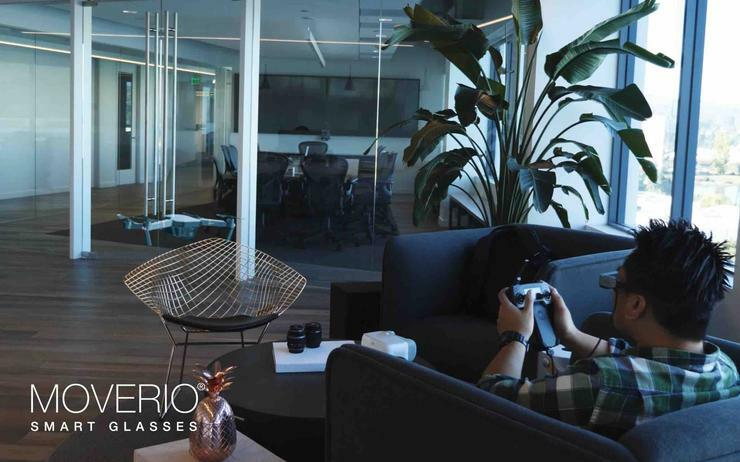 A full-featured AR app for the Epson Moverio smartglasses is being designed to enhance the safety, productivity and capabilities of DJI drones for hobbyists and professionals alike. It is scheduled to be launched by the end of the year. Epson Moverio BT-300 smartglasses can be purchased from Epson Australia for $1,199.